"One of my friends told me that it’s so cool to run Windows on SSD, so I purchased an SSD and want to transfer my Windows 8 to it, too. How can I complete this kind of transferring? Is there a good idea"
Searching on the internet, we find lots of people have such a demand, so this post is written and we hope it could help all Windows users transfer their Windows 7, Windows 8, Windows 10, or other Windows OS from HDD to SSD. 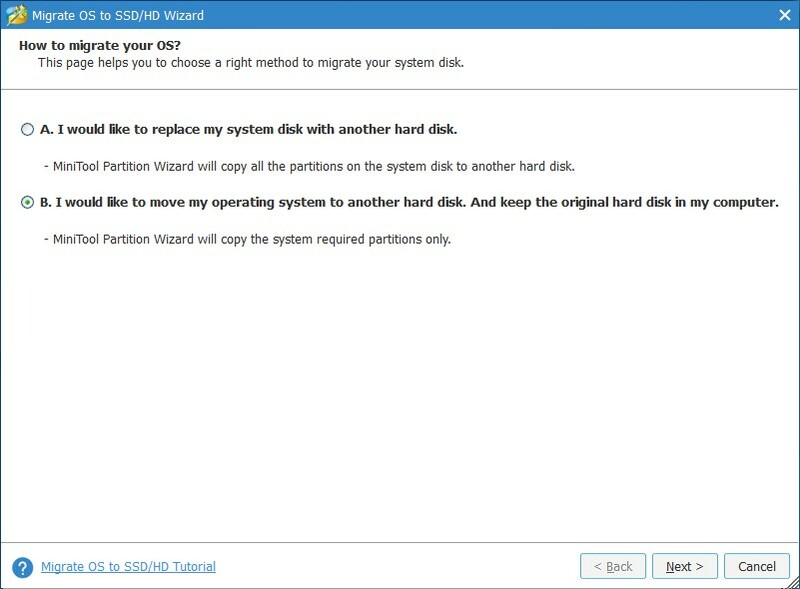 Please follow steps below to migrate your Windows OS from HDD to SSD. 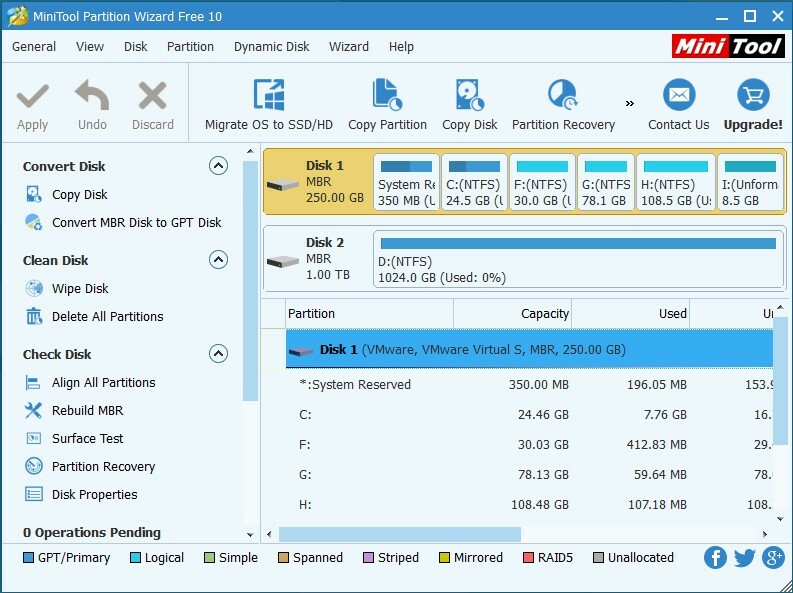 Step 1: download and install MiniTool Partition Wizard 10 on your computer. 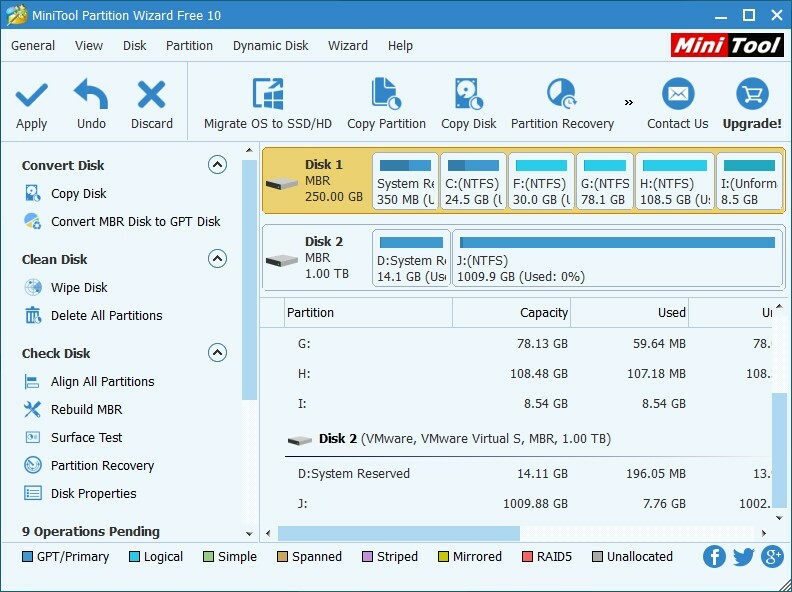 MiniTool Partition Wizard is a piece of partitioning software that can help Windows users complete different types of partitioning operations, including extend partition, copy partition, recover lost partition, and migrate Windows to SSD/HD. It should be noted that MiniTool Partition Wizard just transfers Windows which is running. If you have more than one Windows OS, please start the one you want to migrate. 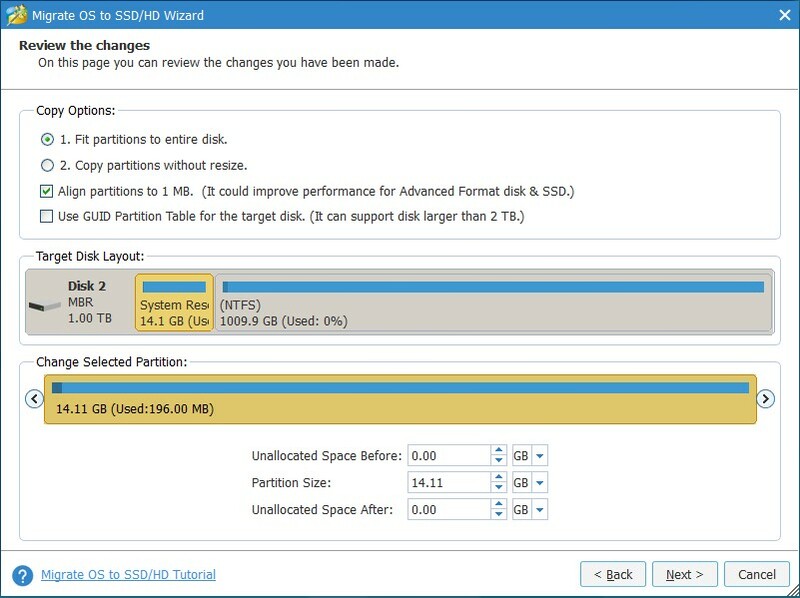 Step 3: choose the "Migrate OS to SSD/HD" feature. Step 4: here are 2 migrating modes for users to choose, including replace the system disk with another disk and migrate Windows to another disk only. Here, we just take transferring Windows to another disk for example. Step 5: select the SSD to transfer Windows 10/8/7 to and click "Next". Step 6: select a copy option and click "Next". Step 7: click "Apply" button to execute changes. Note: since Windows we are transferring is working, MiniTool Partition Wizard will ask uses to restart computer. Just restart it. Once all changes are applied, our computer will start and load Windows. If you want to boot from SSD, please make related settings in BIOS. However, some people are unwilling to use a third party program. For these people, they need to search on the internet or consult their SSD manufacturers to see whether there is a solution. By the way, Samsung provides their SSD users with a data migration tool called Samsung Data Migration to transfer either Windows 10/8/8.1/7 or the entire HDD to SSD. If you are using SSD of Samsung, try using this tool to migrate. But if manufacturer's data migration tool fails to migrate system, users have to use third party programs.